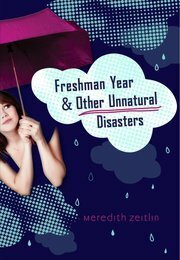 Fire and Ice is today’s stop on the blog tour for Freshman Year and Other Unnatural Disasters by Meredith Zeitlin. She is joining us for an exclusive guest post …SO, WHAT ABOUT MY FRESHMAN YEAR? Of course, this is me as an adult looking back – at the time I know I was incredibly frustrated much of the time. It’s so hard to be new. It took a long time for things to be mostly fun instead of mostly terrifying. I’ve been asked a lot during this book tour what I’d say to myself if I could go back in time, and the answer is: PLENTY. To be honest, I think Freshman Me would probably roll her eyes and tell Future Me I had no idea what I was talking about – I mean, what would you say to some nosy old person who claimed to know all about you and tried to tell you how to run your life? But I’d give it a shot, anyway. I’d tell her not to try so hard, and to trust that people will like her even if she isn’t always “on,” or cracking a joke, or proving she’s right about everything. I’d love to explain to her that all the other fourteen-year-olds are just as insecure about themselves as she is. I’d definitely inform her that the guys she agonizes over are not worth her agony, and that she doesn’t have anything to prove. I’d tell her she’s pretty, even if she doesn’t think so. And that she isn’t fat. And that her parents aren’t ACTUALLY out to destroy her, even if it seems that way. And the things I’d want to warn her about the next three years after ninth grade? Or college? Well, that list would be too long for this post. The truth is, there’s a good reason we can’t go back and reveal these things to ourselves – we have to learn the hard way. It’s what makes us the adults we become, I think. And we probably know that truth, even as we’re slogging through the mess of freshman year – even if we don’t realize it til much, much later. About the Author: Meredith Zeitlin is a writer and voiceover artist who lives in Brooklyn with two adorable feline roommates. She also writes a column for Ladygunn Magazine, changes her hair color every few months, and has many fancy pairs of spectacles. 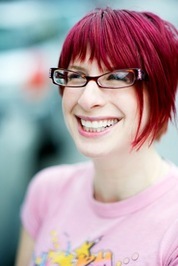 “Freshman Year and Other Unnatural Disasters” (Putnam, March 2012) is her first novel. You can learn more about the book on her website/ twitter/ facebook. they’re not in her shoes, of course. Jodi’s Review: Let’s face it, the first year of high school is a challenge, no matter who you are. The main character, Kelsey is ready to face her first year of high school head on. Kelsey has decided to do something this year. Kelsey wants to make a mark, stand out. Kelsey does manage to stand out, but perhaps not in ways she planned. From upsetting a very popular Junior girl the first day of school to a horrible first date, this book is full of laughs. Many teenage girls can relate to the trials and tribulations high school brings. I as a parent however, would want make sure I discussed with my daughter some of the subjects that arise in this book. 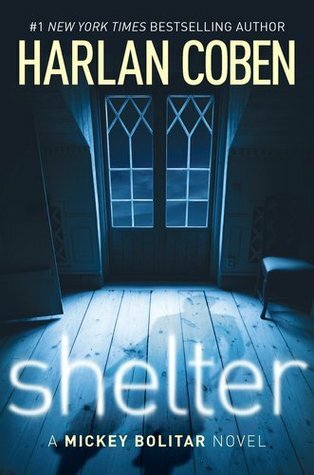 I recommend this book for ages 14 and up. Fire and Ice is giving away one advanced reading copy of Shelter, courtesy of Putnam. To enter to win simply leave a comment below. One entry per person. 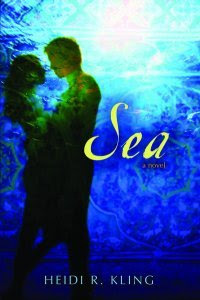 Giveaway is open internationally and ends August 20, 2011. Best of Luck! Her whole life, Alexia Garcia has been told that she looks just like pop star Kari Kingsley, and one day when Alexia’s photo filters through the Internet, she’s offered a job to be Kari’s double. This would seem like the opportunity of a lifetime, but Alexia’s mother has always warned her against celebrities. Rebelliously, Alexia flies off to L.A. and gets immersed in a celebrity life. Not only does she have to get used to getting anything she wants, she romances the hottest lead singer on the charts, and finds out that her own father is a singing legend. Through it all, Alexia must stay true to herself, which is hard to do when you are pretending to be somebody else! Janette has donated one copy of My Double Life for our BIR2010 giveaways. Shipping is to US & Canada and giveaway ends December 15th. Enter by filling out this form.